Hello There! Let’s Talk Star Wars! Owing to some unavoidable issues during recording, coupled with a slightly quiet week in news town (aside from books, there are tons of those), it’s short and sweet from TSW this week! 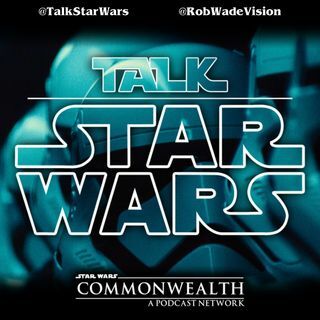 On Episode 154 of the Talk Star Wars podcast, Rob and Brad read a…novel take on a sequel trilogy and discuss Palpatine and some out-there sequel trilogy resolution ideas! Editor’s Note: Please be aware that if you’re listening to TSW during family time, Vesuvi’s sequel pitch ... See More contains peculiar themes that might invite questions! No swears are used, but…yeah. It’s a weird one.